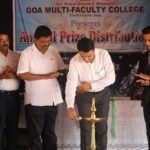 Goa Multi- Faculty College (GMFC) celebrates Student Guidance Initiative in the months of November and December every year. 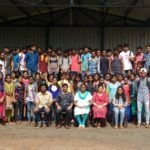 As a part of this initiative the learned faculty members of the GMFC along with other invited guests visit several Higher Secondary Schools and schedule a presentation for all the students of Std. 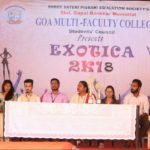 XII across all disciplines, on making informed choices about their careers after their XII examinations. The cost of travel of the speakers, their dearness and the information material for distribution is borne by the GMFC.